Italian cult noise pop band COSMETIC is back with a sparkling new album! 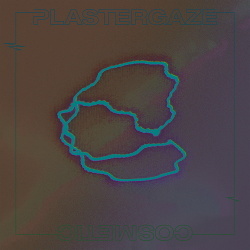 'Plastergaze' will be out on March 15 via Lady Sometimes / To Lose La Track. An introspective journey along the shores of shoegaze, a genre that marked the band since the debut EP 'Sursum Corda' and the resounding success of 'Conquiste': here we find once again new eleven gems set between indie rock, dream pop and emo-core. Bart and his partners create a further chapter in their history, confirming they are among the few in Italy who know how to merge a distinguishable international sound, made up of guitars and distortions, with the rather unusual Italian language. It's not a simple work, but a complex and stratified album, perhaps the most reverberated they ever did. The spacey synths compete with the striking glares of the guitars, while the way more broaden atmospheres get enriched by Alice's vocal harmonies and the huge contributions of Straccia on the keyboards, making the overall writing more dreamy and fluctuating. The sharp, somber lyrics don't accept any fake respectability in a time when simple generalizations and stereotypes usually go for the win! Is there still any place there for the inept ones in the world? For those who can’t identify themselves inside this huge tide of uselessness and fiction, for those who falter, for those who are unsatisfied with what’s around them, but keep on moving forward, falling and getting up again, while entangled in an inner reality of their own, once again victims of themselves. How can we accept ourselves and the otherness of who's next to us? Which are the physical boundaries this society imposes to the fulfillment of the individual? The band has self-produced the record in its own studio, built during the last five years, and was helped on the mixing by Steve Scanu - who's already worked with Be Forest, Lantern, Urals - and Filippo Strang on the mastering.